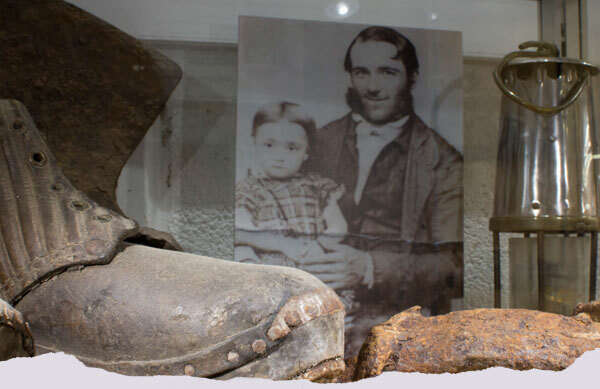 Our exhibition area is a recent addition to the Visitor Centre and features a permanent collection of Blue John, geological samples and an informal look at the history and development of Treak Cliff as both a family-run working mine and tourism attraction. Our permanent Blue John Collection includes pieces ranging from subtle jewellery and translucent drinking vessels to more sturdy, large ornaments. There are stunning examples of exclusive pieces made by our own craftsmen and also many rare items made further afield, originally held in highly-regarded private collections. Blue John can only be found in one place in the world – Treak Cliff, Castleton. 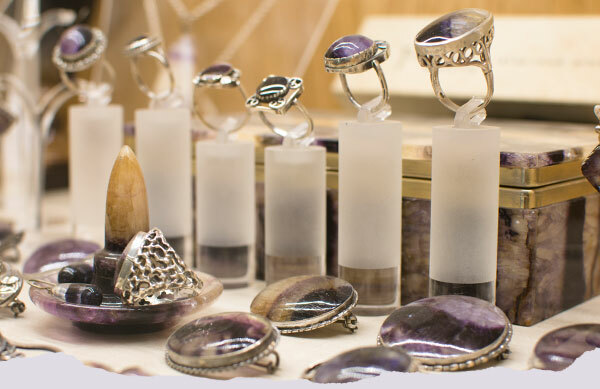 See raw samples of the stone before it’s shaped and formed into the beautiful jewellery and ornaments now found all round the world. Blue John was discovered in Treak by the Romans 2000 years ago but serious mining as we know it didn’t start until the mid-18th century. Examples of old equipment can be seen both in the museum and the cavern itself. 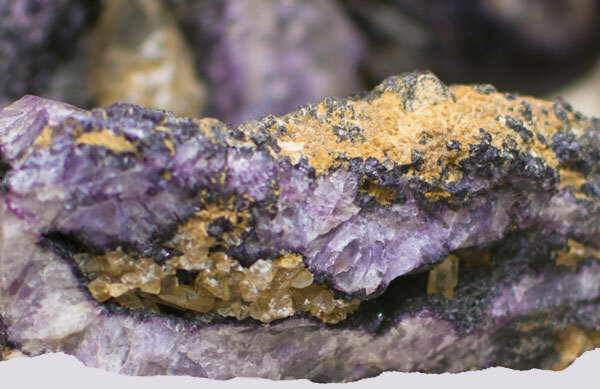 For more about modern mining, see the main Mining Page. When Victorian steeplejack William Harrison bought a holiday home in Castleton, little did he know he was founding a dynasty of cavern custodians. 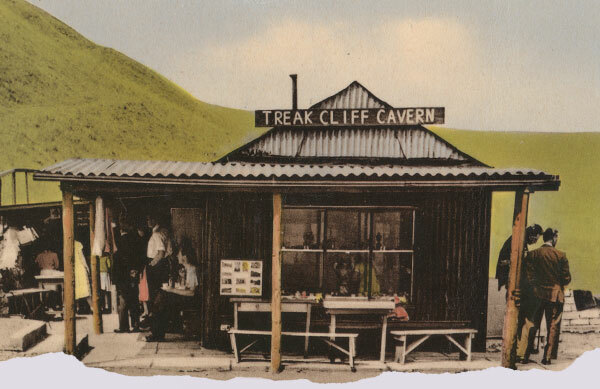 The museum itself, part-funded by a European Union grant, is a testament, to the popularity of Treak Cliff and its appeal to successive generations of visitors. The grant is in itself an acknowledgment of the important of Treak Cliff to the area.